Artists of YG Entertainment dominated music charts with unrivaled numbers this year. YG Artists including BIGBANG, WINNER, iKON, and BLACKPINK have positioned themselves at no. 1 on Melon’s daily chart for 116 days this year. Their share increases if one adds no. 1 records on real-time charts and music charts on other music streaming platforms. iKON’s ‘LOVE SCENARIO’ topped Melon’s daily chart from January 26 to March 7, for 40 days. They set a new history by setting the longest record in the past 10 years. ‘LOVE SCENARIO’ have iKON the nickname of ‘elementary school presidents’ with kindergarten and elementary school childring singing along to the song, while the song is still loved by listeners of many generations. The song ‘FLOWER ROAD’ released by all members of BIGBANG before T.O.P, G-DRAGON, TAEYANG, and DAESUNG enlisted in the army was placed at no. 1 for 18 days, from March 13 to March 30. Despite releasing a song in a long time since the group released the MADE series back in 2016, the song proved BIGBANG’s presence with the fans’ heated support. WINNER’s ‘EVERYDAY’ was positioned at no. 1 for two days, after its release on April 4. Like the group that well presents trendy music, WINNER achieved success on music charts along with their challenge on a new genre. WINNER will release a new single this year prior to the release of their 3rd official album scheduled next year. 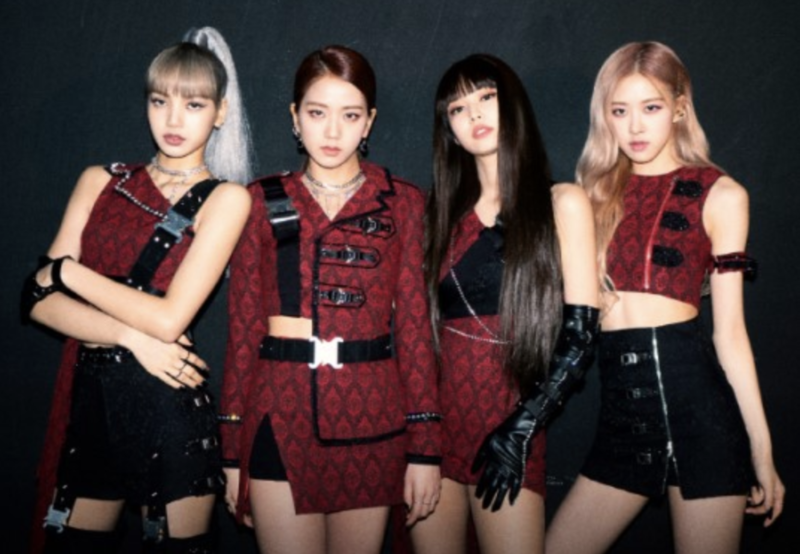 BLACKPINK’s ‘DDU-DU DDU-DU’ topped daily charts for 30 days, from June 15 to July 14. The song also entered Billboard’s main charts including the ‘Billboard 200′ as no. 40 and the ‘Hot 100′ as no. 55, setting the best record in K-Pop girl group history and establishing themselves as a global girl group. JENNIE and MINO also achieved success as solo artists while being members of BLACKPINK and WINNER. JENNIE’s ‘SOLO’ was positioned at no. 1 from November 12 to November 25, 14 days, while MINO’s ‘ FIANCÉ’ topped music charts for 12 days, from November 26 until December 7. As MINO continued YG’s no. 1 march after receiving the baton from JENNIE, the two artists proved their musical caliber not only as members of a group, but also as solo artists. The MVs by artists of YG have also surpassed a total of 1 billion views. iKON’s ‘LOVE SCENARIO’ reached 220 million views, ‘KILLING ME’ reached 80 million views, while ‘GOODBYE ROAD’ reached 27 million views, accumulating a total of 327 million views through 3 MVs this year. WINNER’s ‘EVERYDAY’ reached 37 million views and MINO’s ‘FIANCÉ’ reached 2 million views. BLACKPINK’s ‘DDU-DU DDU-DU’ surpassed 530 million views, while JENNIE’s ‘SOLO’ reached 100 million views, adding up to a total of 630 million views. The MV for ‘DDU-DU DDU-DU’ became the fastest MV by a K-Pop group to surpass 500 million views, while JENNIE’s ‘SOLO’ also set a milestone by reaching 100 million views in the shortest amount of time in Korean female solo artist history.